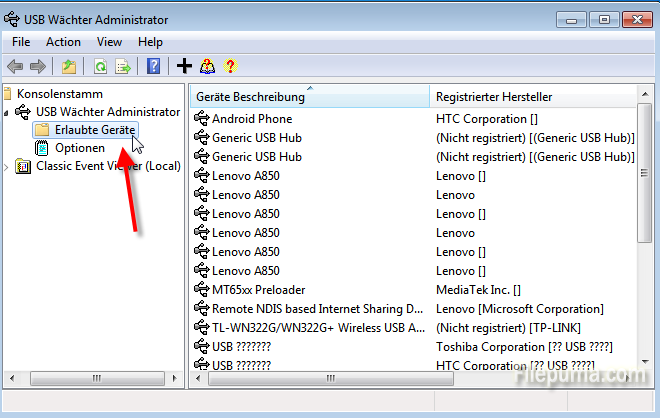 How to Disable USB from Unauthorized Access? Computer is often infected with Trojans and virus through USB, so USB disk security is very important. Then USB controller is extremely expected to solve this annoying problem. Thankfully USB Guardian is such a program which can fulfill this need. It ensures access of USB mass storage devices to personal computers. Only previously authorized USB devices are allowed to connect computer. Is not allowed in the device is found, access is prevented. Step One: Download USB Guardian and install it on your computer. Step Two: On the left side is Erlaubte Geräte which is the most important menu. 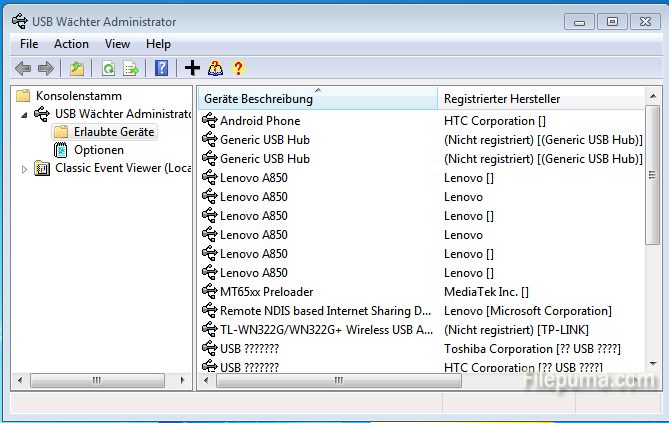 The list here are all the allowed USB devices. These USB devices are allowed to connect to the computer. 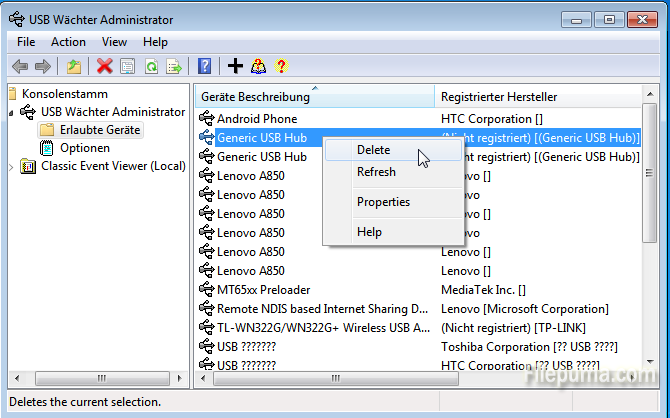 Step Three: If you want to remove USB devices from the whitelist, just right-click on an USB device and selecting Delete from the context menu.